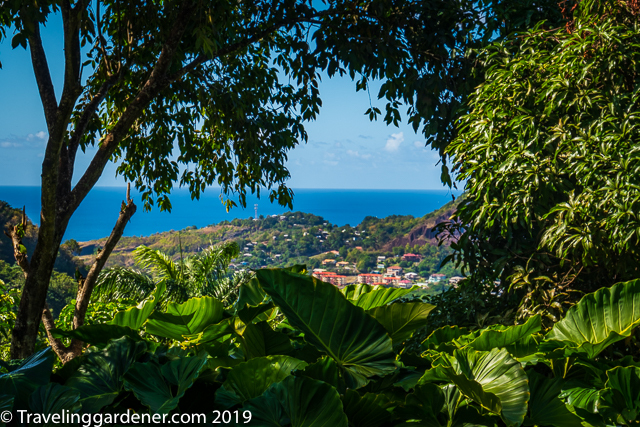 The Sunnyside garden sits high on a hill in just east of the Capital, St Georges, in Grenada. You must walk a broad, steep and uneven driveway to reach the gardens. Once again the garden is placed to take advantage of the best views. 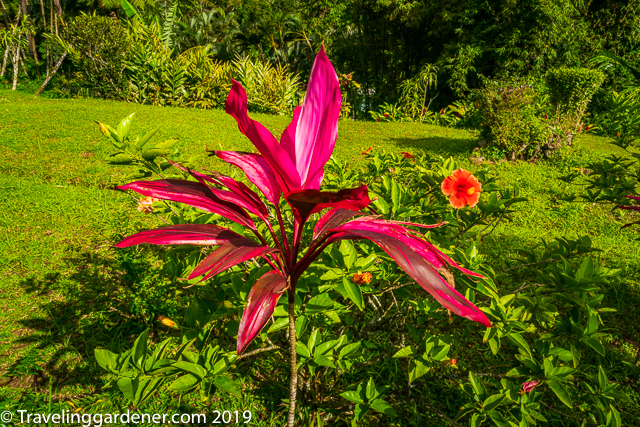 The true gardener for this property was a woman, who had her own money and a passion for plants. Today she is nearly 90, and unable to physically or mentally participate in the gardening. 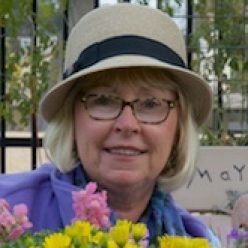 Her son, Randy and his family have taken over the care of the garden and are just beginning to manage it so cruise tours can visit. 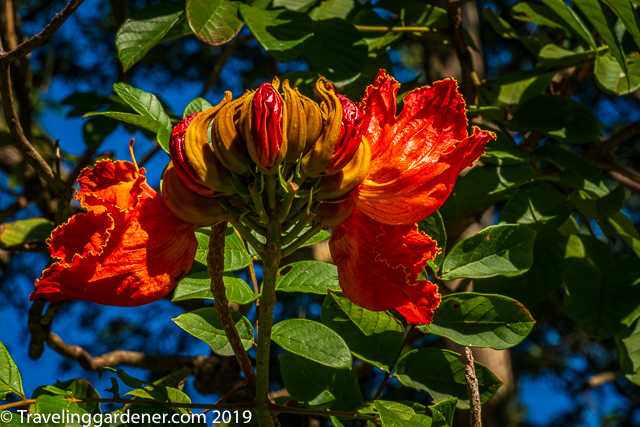 Many improvements are needed but there is a collection of plants and a treasure of designs built by decades of dedication. 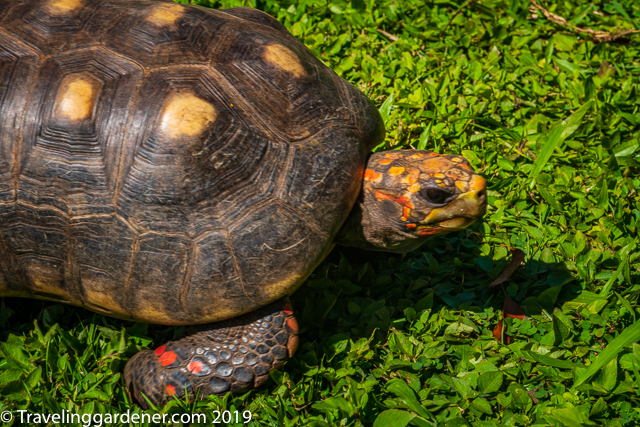 Red-footed Tortoises, South American Parrots, local lizards, ponds of koi and tilapia live happily among the trees in the garden. 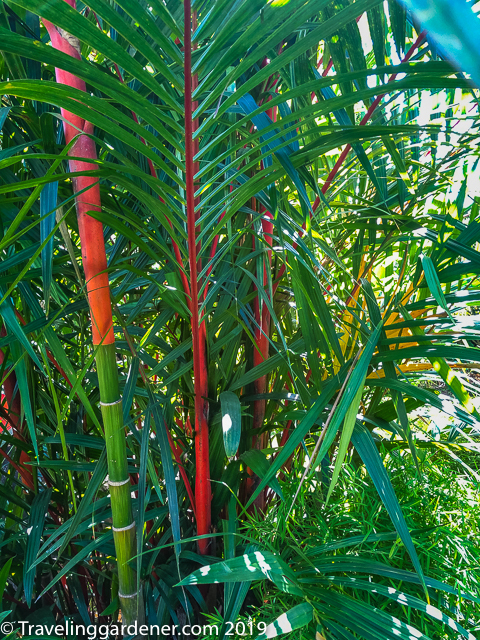 Lipstick Palm, with the bright red trunk, grows in the Japanese garden. 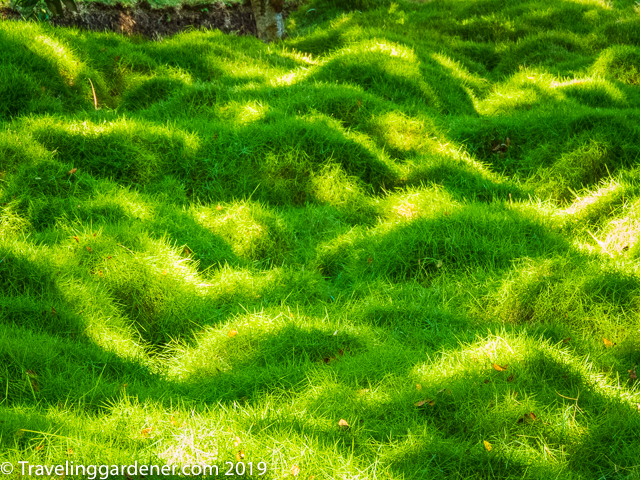 Randy doesn’t mow it and creates a lush green look, unlike anything I’ve seen before. I hope this garden becomes a destination for visitors. The care and feeding of such a wide variety of plants is an enormous undertaking. The growing conditions are perfect with moisture, sun, and calm breezes right up until the hurricanes take it all out. Gardens survive because a gardener loves them.